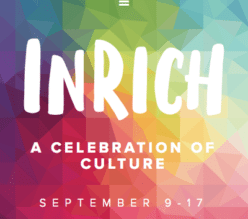 We created a one-page website for Fonda Wildes’ InRich.us community enrichment program. 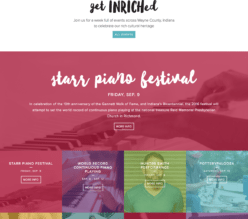 Fonda wanted a simple, modern website to showcase events around Richmond, IN so that members of the community and surrounding areas are able to find details about the events online. 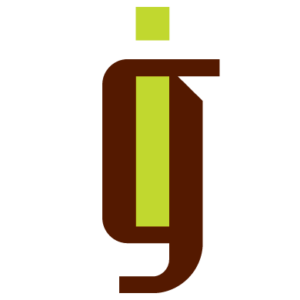 IronGate created visual graphics and a custom mobile-friendly, responsive website that allows for Fonda to regularly update events and important information that community members are likely to seek out. A one-page website often serves as the perfect venue to showcase an event, product or idea that needs to stand alone from other similar online entities. Overall, the website has a very modern look & feel to it. It focuses on showcasing the events with an uplifting, outgoing vibe to hopefully inspire members of the Richmond area & surrounding communities to get out and embrace what Richmond, Indiana has to offer.